The end of the year 2015 comes up with the big day of Bollywood’s one and only Dabbang man winning hearts of his fellows and followers. The Bollywood’s only bachelor Khan turned 50 on 27th December 2015 with great celebrations and jubilation. 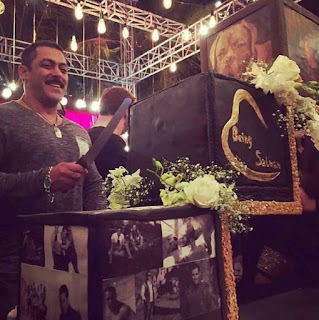 Salman’s birthday bash was held at his Panvel home with his close friends and family members in new Delhi. 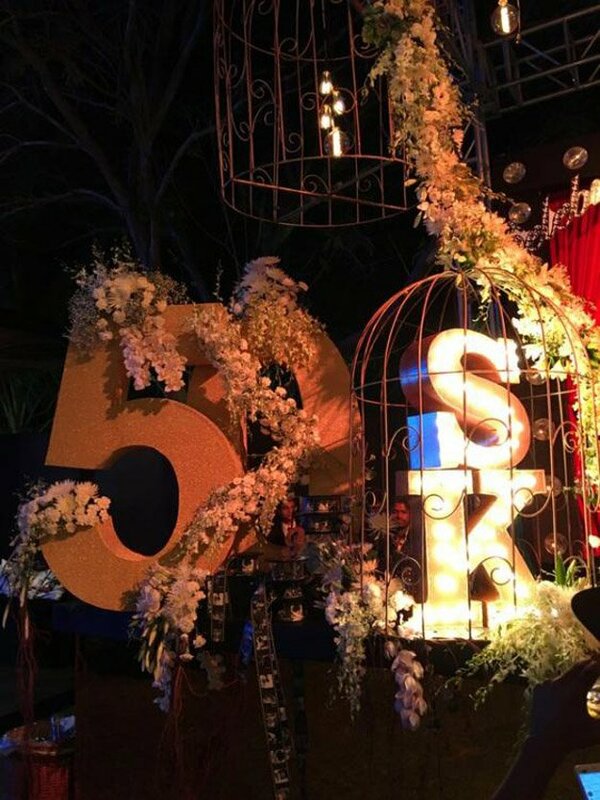 All the renowned names of the bollywood were being spotted at the night of celebrations to show their love to their very own Salman Khan. 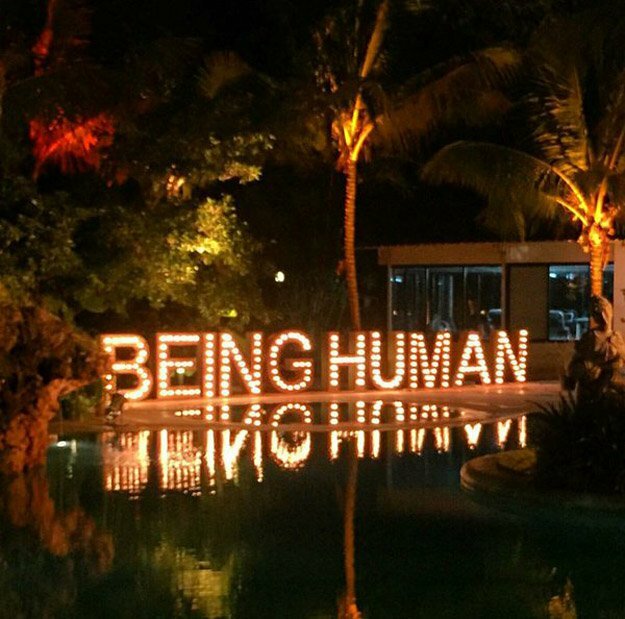 At the night of the event, Salman’s ‘Being Human’ could have been spotted all around the scenario. 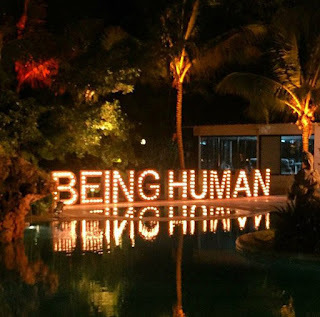 A twinkling label of Being Human welcomed the guests coming over for the party at the entrance of the house. Coming to further decorations and arrangements, they were simply marvelous! 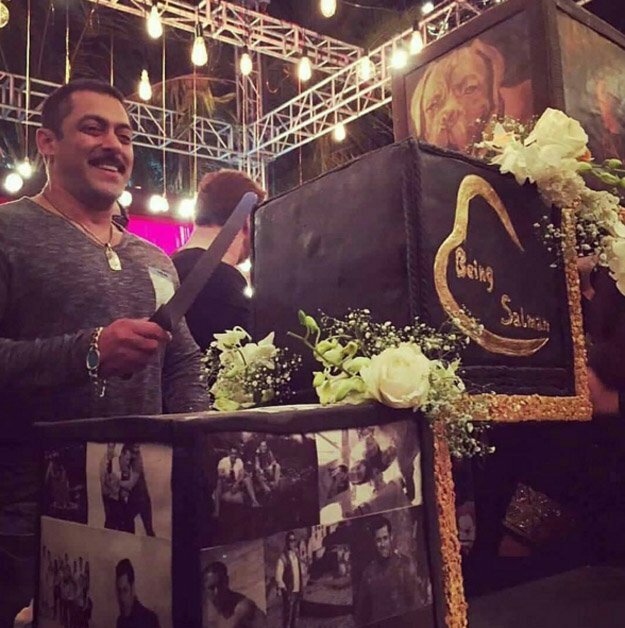 The greetings on birthday cake were seen to be ‘Being Salman’ and everybody wished him with a hashtag saying Being Human. 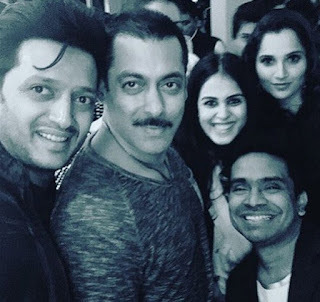 The birthday man was spotted taking selfie with bollywood’s Ritesh Deshmukh with his wife Genelia Deshmukh and the most famous tennis player Sania Mirza whose presence made the night much worthy. This shows Salman’s circle not only confined to film industry only. After all he is Sallu bhai! Amisha Patel was also present at the night of celebration alongwith many other stars. 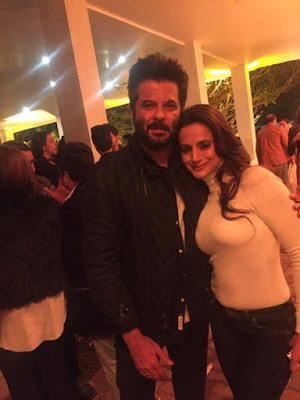 She was found taking pictures with Salman Khan as well as another guest who is a big name in his own kind Mr. Anil Kapoor. He also became the part of the night with all his heart. 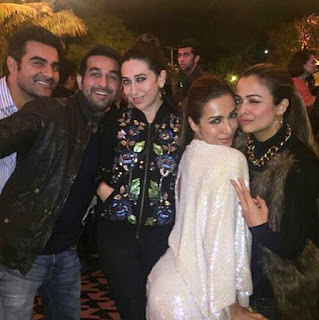 An interesting and ever loving group of celebrities including Karishma Kapoor, Arbaz Khan, Malaika Arora Khan and Amrita Arora were found excited to give their best wishes and love to their friend and the guide Salman Khan. 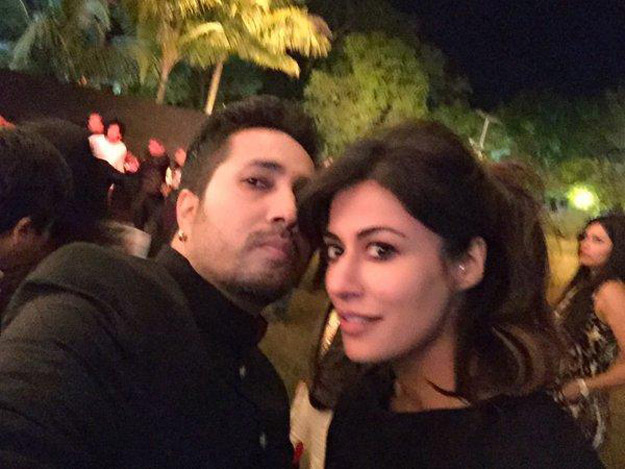 A popular name from music industry of Bollywood, Mika Singh was also there with his jolly personality. He was found taking pictures with Sophie Chaudhry and Chitrangada Singh. Sophie Chudhry, being a huge fan of Salman Khan tweeted with a pic that was taken on birthday night. 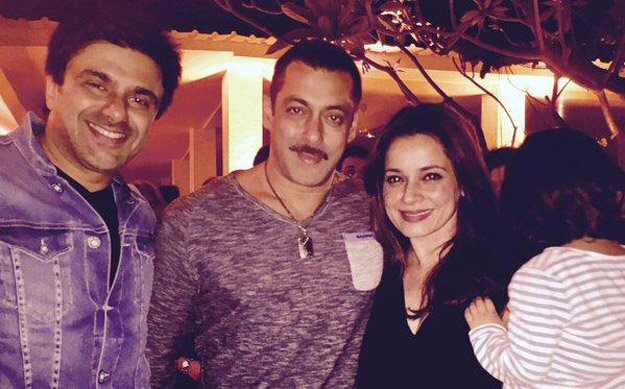 Former name of film industry Neelam Kothari, being old friend of Salman Khan also came to the party with his husband Samir Soni. Among all the surprises, there was one biggest and eye catching surprise in the name of Salman’s new Romanian girlfriend. 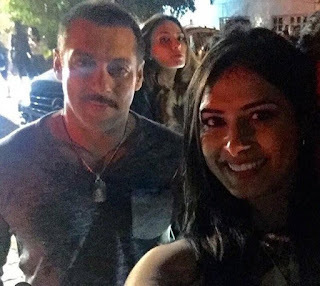 She was being spotted with Salman throughout the party with a special protocol given to her by Sallu Bhai. Some sources spot her as Slaman’s bride-to-be very soon. Best wishes for Slaman at his birthday and many more to see in the future!